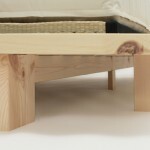 The Sakura Low Futon Bed – a traditional Oriental bed style manufactured in sustainable FSC certified redwood pine. 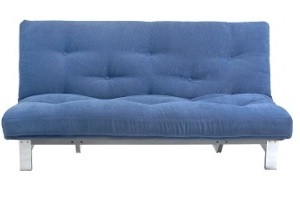 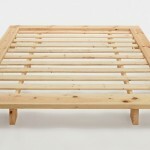 Can be used with a futon mattress or conventional sprung mattress. 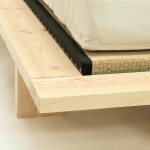 The Sakura futon bed is a traditional design with simple lines which can be purchased as a bed frame only, in conjunction with our tatami bed mats and with or without a choice of futon mattresses. 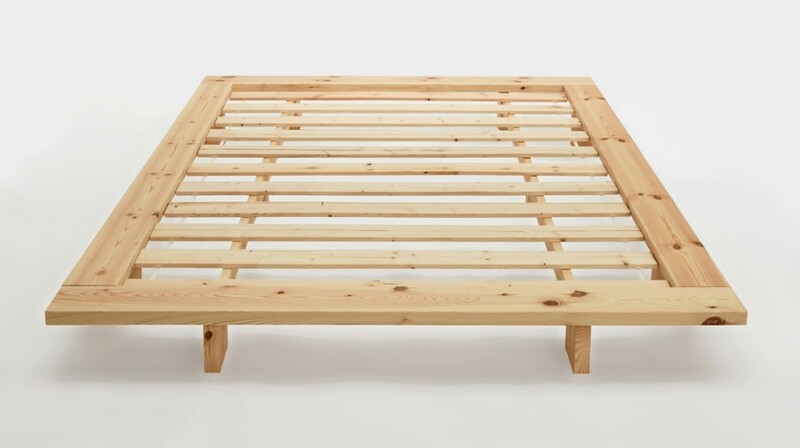 The Sakura bed frame is constructed in European redwood pine with a 'planed', or untreated, finish meaning that the initially light finish will darken over time if left alone or you can choose to add a stain, wax or painted finish yourself. 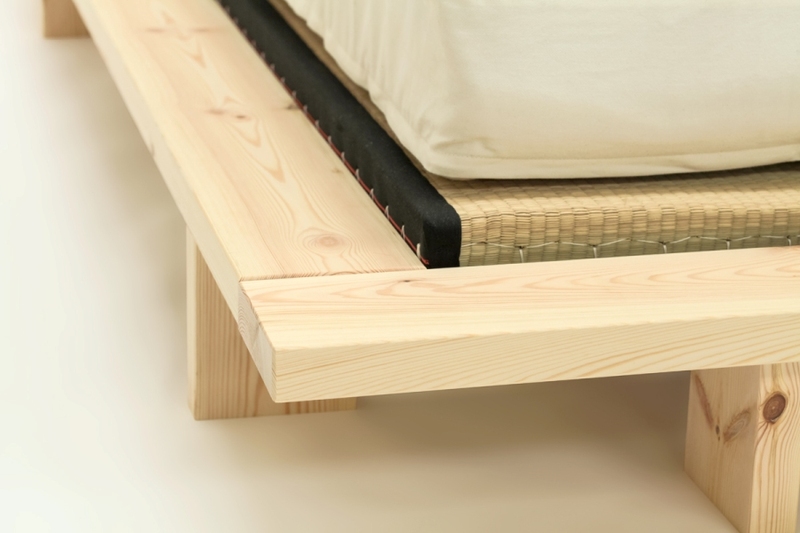 The quality of timber is excellent and robust and the frame can be used with or without our Tatami bed mats, just choose from the menu. 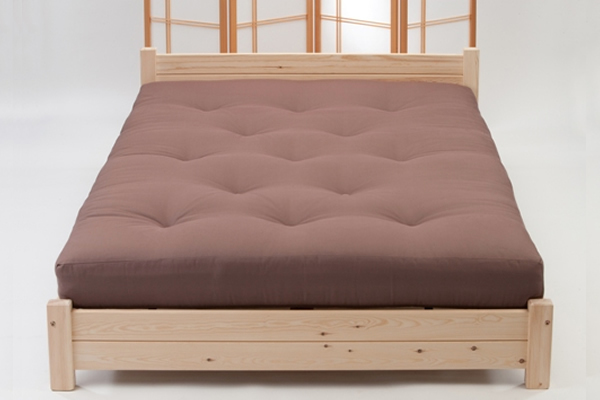 You can use the Sakura frame with a conventional 'sprung' mattress or make a choice of one of our lovely futon mattresses from the menu, information on which can be found in our Futon Mattress Choice department. 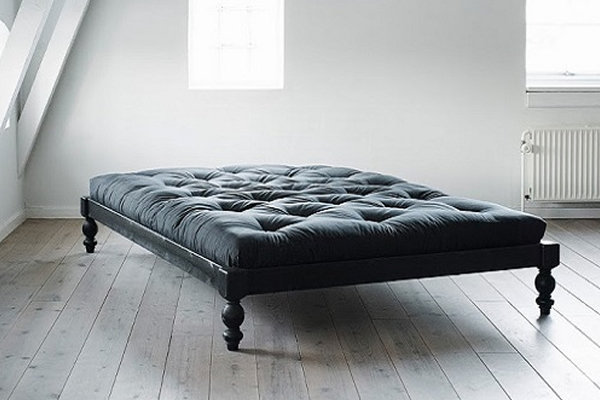 Bed Height: 20 cm to top of frame / 36 cm to top of mattress (depending on mattress choice). 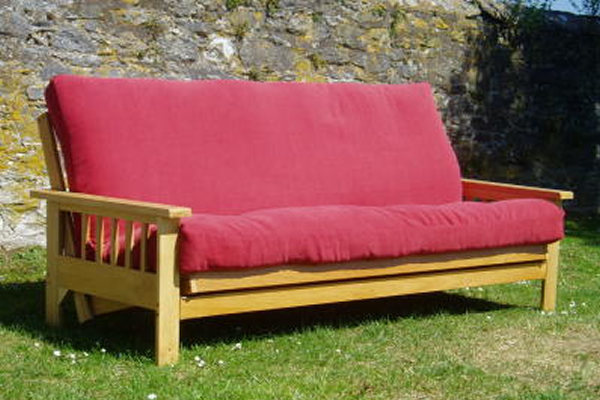 Strong redwood pine frame manufactured in Europe with FSC (sustainable) certified timber. 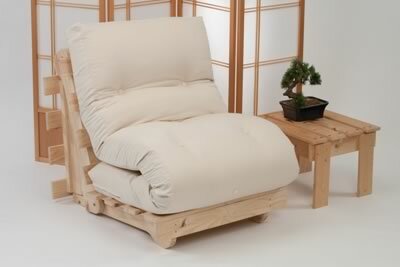 Flat-packed for easy delivery to your home, simple to get into restricted access rooms. 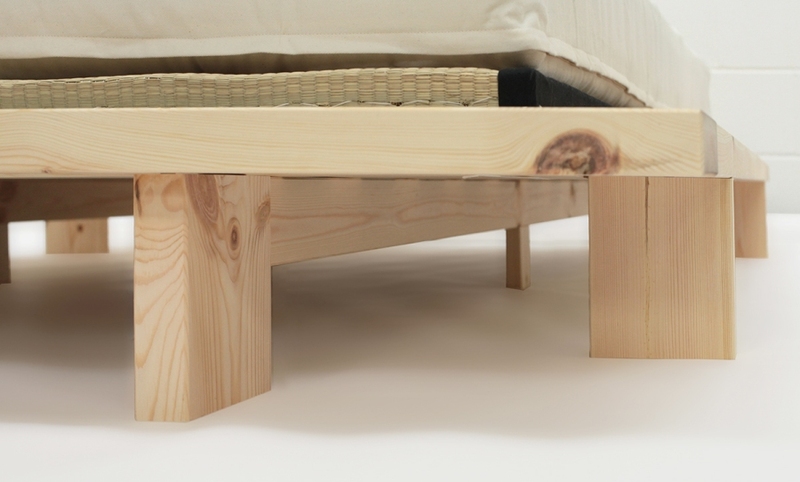 Simple home assembly - no special tools or skills required. 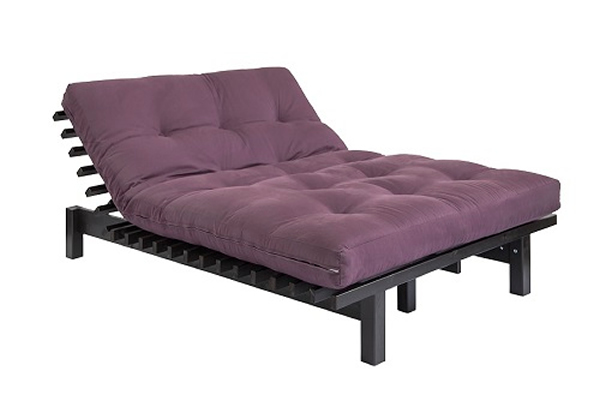 The Sakura bed is suitable as an everyday sleeping bed - ideal for rooms with low ceilings such as attics, loft apartments or mezzanine floors.